This khaki coupe has a manual transmission and is powered by a 2.0L H4 16V PDI DOHC engine. Motivated by that spritely motor it gets 11.2 L/100 km in the city and uses just 8.3 L/100 km out on the highway according to Transport Canada. Our BRZ's trim level is Raiu Edition Manual. This vehicle has been upgraded with the following features: Navigation, Leather Seats, Heated Seats, Leather Steering Wheel, Bluetooth Audio, Starlink, Aluminum Wheels. 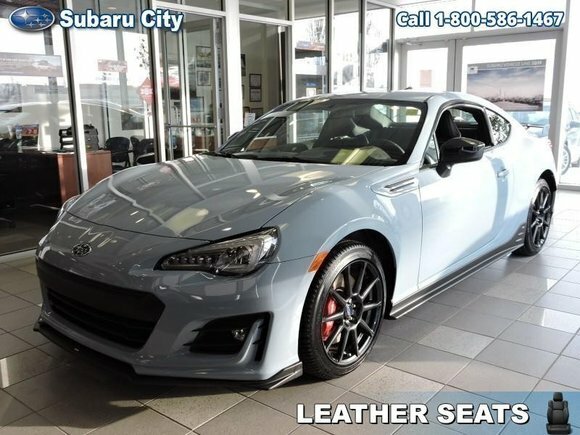 Want to try the 2019 Subaru BRZ Raiu Edition Manual?